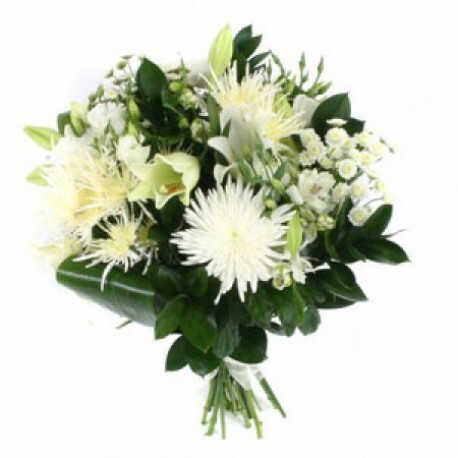 At Pams we are delighted to present this product available for flower delivery in Corby. A beautiful handtied aqua bouquet in white flowers with exotic foliage. Presentation wrapped.